Funny Valentine Books For Boys - Everyone Will Be Laughing! 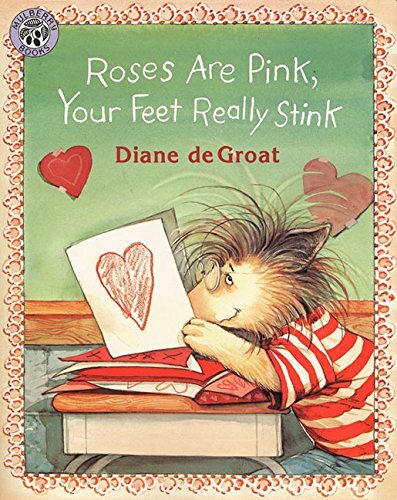 Valentine’s day is coming up and since we love to read and try to find the best books for boys we set out to see if we could find some Funny Valentine Books for Boys. To be honest we were not too sure we would be able to put together enough good ones to make a list. After all, Valentine’s Day has an awful lot of pink, glitter and lovely-dovey-ness about it. But, we wanted to see if there were funny, silly, not quite so pink Valentine’s books and we found them! 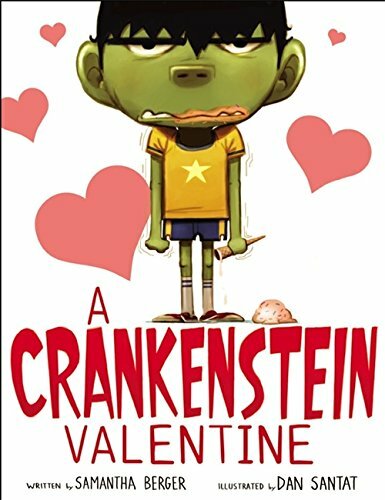 Very funny and comical right down to the heart underwear is A Crankenstein Valentine. A great read aloud with lots of monster noises and grumpyness that will have boys laughing. Super for boys who think Valentine’s Day is just too much. Too much lace, too much mushy stuff and too much pink. They will really like this funny valentine book. A Lot! The famous Pete the Cat book series has a go at Valentine’s Day and it is a winner. 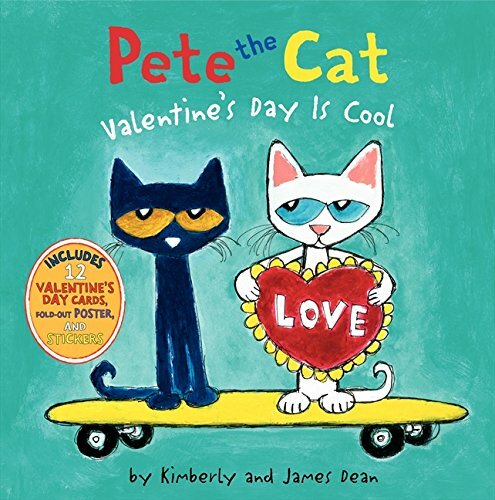 Pete the Cat: Valentine’s Day Is Cool is a fun book with a great message. Super for your younger valentine. Goofy! 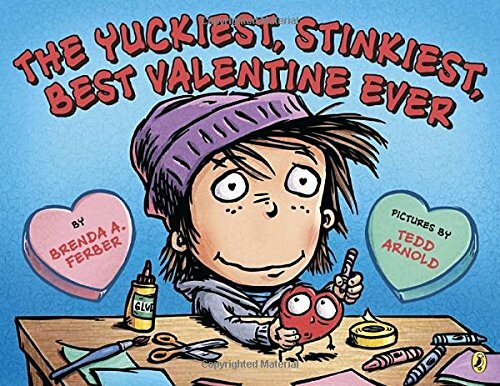 The Yuckiest, Stinkiest, Best Valentine Ever has a crazy premise. A boy makes a valentine for a girl and the valentine says “Love is yucky. Stinky too. It will turn your brain to goo.” and takes off running. The chase is on . . . The reviews are great. Roses are Pink, Your Feet Really Stink is a popular choice. This funny valentine book has Gilbert playing a prank on two classmates who had picked on him. The prank is amusing and the book ends with a lesson in kindness. Curious George. You just have to love him. 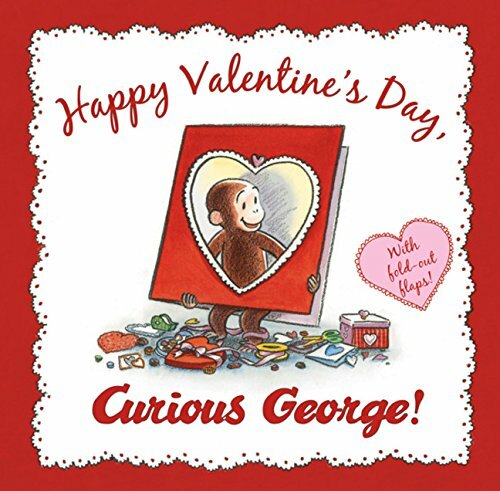 He is up to his old antics in Happy Valentine’s Day, Curious George . This is a fun lift-the-flap book where George and The Man with the Yellow Hat throw a Valentine’s Day Party. As you can image, George is curious . 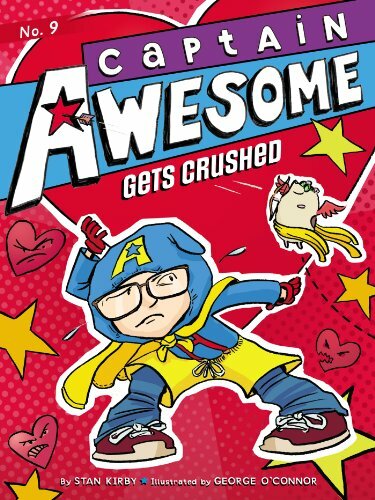 . .
Captain Awesome Gets Crushed is a short graphic novel perfect for beginning readers. Amusing illustrations and a funny story line has Captain Awesome and his friend Nacho Cheese Man trying their best to avoid the “pink holiday.” But . . . what about Supersonic Sal? 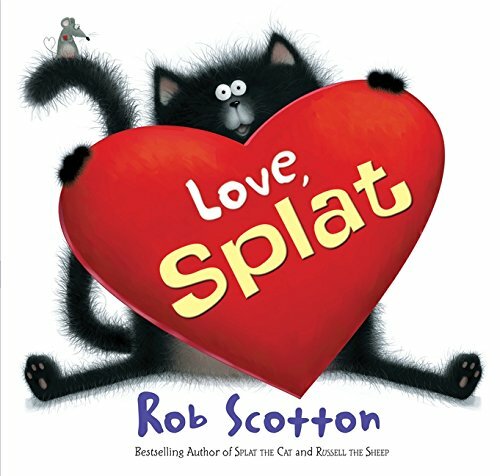 Splat the Cat is back in Love, Splat. He is smitten with Kitten 🙂 and there is a rival for Kitten’s affections. The illustrations and facial expression on Splat are what make this a fun pick for younger boys. Valentines Day is a perfect time to get a little reading in. Well, any day is a perfect time for reading! I hope you enjoy this list of funny Valentine books for boys. They are winners! Pop over and see our Free Printable Valentines with alien, pirate, robot and superhero themes. These are terrific!! I will have to keep an eye out for some of these for my 9 year old! Thanks for sharing with us at our Share day today. 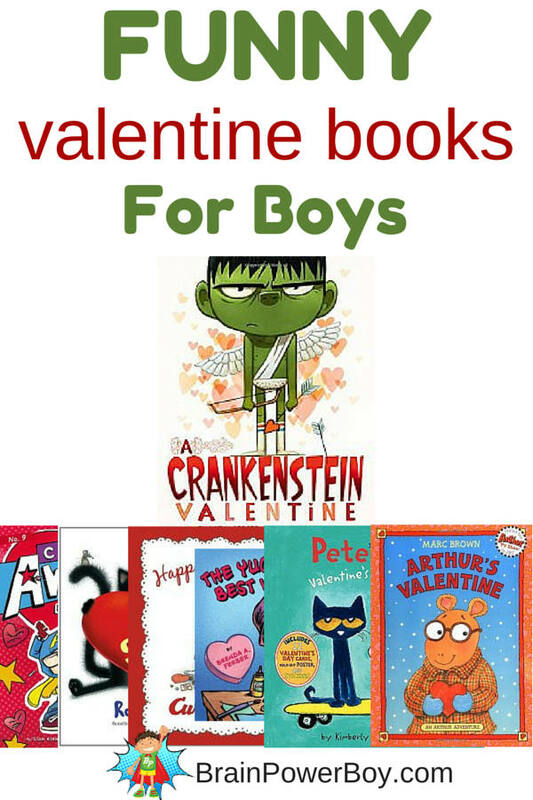 What a great list, I never thought about looking for boys books on valentine’s day which I find strange because I have boys lol, I will have to check some of these out, thanks so much for sharing. Thanks so much Christine. 🙂 I’m sure your boys will find something here that they will enjoy. How do I order the Valentine books ? These are wonderful! The Pete the Cat and Curious George ones are at the top of my must read list. Can’t wait to check out all of them though. Your book lists are always fantastic. Thanks for sharing on How To Get Organized At Home, Arthur is my favourite of all of these! A Crankenstein Valentine is certainly worth getting and I agree that Splat is pretty great. What a great list of books for Valentine’s Day! Thanks for the comment. To be honest it was a little tough to find them!